By now, it should be abundantly clear to parents that giving a child unfettered use of a mobile device is a very risky proposition. Left to their own devices (literally), the odds are overwhelming that kids will stay up far too late, trash talk far too much, and wander too far down the Internet’s darker and more threatening alleyways. The Web — and the electronic devices used to access it — give our children unprecedented intellectual and social opportunities, but the risks are correspondingly severe. Much like with guns, cars, and knives, if our kids are going to grow up as safe and responsible Internet users, they need plenty of supervision and instruction. Here are a few suggestions for helping your kids make the transition. Thems That Pays the Bills Sets the Rules. It’s not terribly surprising that all of us consider our electronic devices to be an extension of our zone of privacy. We personalize them, we organize them to our satisfaction, and we store vast quantities of private information on them. Kids are particularly attached to their devices; they view privacy as an important tool for honing their emerging sense of identity, and they rely on mobile devices in particular as the gateway to their all-important social circles. 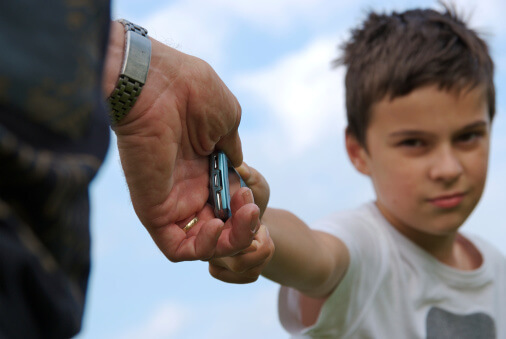 As a result, kids very quickly lose sight of who actually owns the devices they use. Parents should be respectful, of course, of the value that kids place on mobile devices. At the same time, however, the vast majority of children would not have those devices without the willingness of parents to purchase them and pay the monthly contract fees. At a profoundly practical level, that gives parents the leverage to enforce the usage rules that they think are necessary for a child’s safe development. Children tend to view the use of mobile devices as some sort of right, but that’s a deeply flawed perspective. Parents should make it clear that a child’s continued use of any device is contingent upon respectful and lawful behavior. After all, “no” is not a four-letter word. More importantly, parents should also make it clear that their purchase and support of the device gives them not only the right but also the responsibility to know how the device is being used. Bedtime for Devices. Do your kids a favor and set a clear and consistent time for devices to go to sleep each evening (something that’s not necessarily a bad idea for adults, either). Take the time to discuss various options with your children, but in the end, pick a time and stick to it. Nothing happens in middle school (or even high school) that is so important that your child needs to discuss it at 2 in the morning. If there is, you should probably know about it first anyway. Adopt a Family Acceptable Use Policy. Beyond setting a bedtime for devices, have a series of ongoing conversations with your children about the expectations you all have about how those devices will be used, and the consequences for misuse. There are numerous examples on the Web of various provisions that you might want to discuss with your children. It may be helpful to write down your family policies, post them in various public locations, and update them as needed. Communicate, Communicate, Communicate. Underlying all of these mobile usage suggestions is one core concept: That you and your kids will talk often and at length about how mobile devices should be used and the relative benefits and risks. As soon as possible, kids should appreciate just how powerful mobile devices can be and what a privilege it is to use one. If there are policies that have worked well in your household, please share them below. 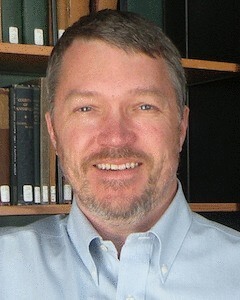 Frederick Lane is an author of six books, attorney, professional speaker, and an expert witness specializing in the field of computer forensics. Lane's books include American Privacy: The 400-Year History of Our Most Contested Right and Cybertraps for the Young. He is currently working on his next book, "Cybertraps for Educators."